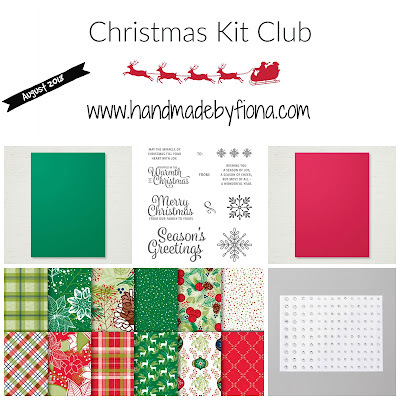 Last week in my Tuesday Tutorial I announced that I'm bringing back my Christmas Kit Club! I even gave a sneaky peak at the cards that you can make with the first kit. Get ahead with your Christmas cards this year and order your kit today. To order, fill in the form below, pay and submit your order before 20th August 2018. Click HERE to read more about the Christmas Kit Club.